Do you have overflowing bookshelves, wardrobes that are fit to burst, piles of paperwork or disorganised storage? Are you planning a house move, downsizing or do you just want to free up some space in your home? I can help! I’m a Professional Organiser, Declutterer and a Certified KonMari Consultant based in Hampshire. I offer a range of decluttering and organising services to help with one off projects through to life changing KonMari Method tidying sessions. I understand that making the decision to get organised can be a huge step for clients. You may feel overwhelmed and unsure quite where to begin but that’s why I’m here. Working together we’ll tidy and organise your home to free you from the clutter that’s stopping you from enjoying the lifestyle you want to live. If you’d like to find out more about how I can help please get in touch. Benella was founded in 2005 by Jo Jacob. After travelling and then working in management positions within the Leisure and IT industries, Benella was set up utilising Jo's organisation skills and her passion for being a "right hand (Wo)man". A qualified interior designer who trained with Ann Maurice the TV's House Doctor and Dawna Walters from "Life Laundry" fame, Jo fell in love with de-cluttering client's homes and restoring order to their lives. Jo's work has been featured in numerous national magazines and she was profiled in Red magazine. She has also been on BBC local radio shows as the industry expert several times. Client demand for a more regular service to keep their lives and homes on track meant that a PA at home service was added in 2009. Jo has recently been chosen personally to work with Stelios Kiosses of 'Hoarder Next Door' fame on various projects with him. Benella offers a completely confidential service but references can be given upon request. My name is Claire Lawrence and I love to help other people feel more in control of their lives by decluttering and bringing order and organization into their homes. It gives me a genuine sense of achievement when a client feels they have things under control and are beginning to find their organizational ‘mojo’ once more. It doesn’t matter whether this starts with a playroom, a filing cabinet, a bedroom or a loft; sometimes we all need help just to get started. An external pair of eyes, a different perspective, some new ideas and a willing pair of hands to work with you can be all it takes to get you back on track with the way you always intended your house to be. Of course there are other times in life when even the most organized and systematic person can feel overwhelmed: when you are moving house, facing a divorce or losing a loved one. I can come in at these difficult times to support and work with you, making sure we get the essentials done in a timely manner and helping you meet the unavoidable deadlines that each of these traumatic situations can deal you. I promise confidentiality, sensitivity, care and thoughtfulness, along with a good splash of fun and laughter and an enormous dose of satisfaction when the task is complete. Deep down, most of us know we should be able to do it ourselves but sometimes a new perspective is exactly what is needed to get back on track to where you want to be. So, whatever your individual situation, see how we can help or just give me a call and, together, “Let’s Get Sorted”! We at Solent Plastics are the Leading Independent Supplier of Plastic Storage Boxes, Containers and Crates in the UK. Phone or Email our team with your enquiry today! Solent Plastics is a 3rd generation family business, established in 1928. Operating from our new Warehouse & Showroom in Romsey, we maintain an unrivalled range and stock of Plastic Storage Boxes, Containers, Crates and other storage products for every application. We stock specialist ranges of big boxes, toolboxes, picking bins, recycling storage, industrial, marine and educational plastic storage products. In addition to standard stock we offer a huge range of Special Offer Boxes and Products at greatly reduced prices. The Avélére team set out with one dream. To create the world’s first and only range of fashion display products for the home, and to do it with style. Today we are proud to bring you a fantastically simple and beautiful range of display products to turn your home into a modern day showroom. The Avélére product range is engineered to work in an intuitive way, with many many hours spent simplifying the way to products are installed. Now we have a group of products which are easy to combine, non-intrusive and give you the opportunity to create in thousands of different combinations! 25 Years Professional organising experience. I help to declutter and simplify, re-organising and creating a practical and organised space you can continue to use and most importantly find what you need to function daily - By making real and positive changes that make a difference to the way you live and spend time in your home or business. * Whole Home & Specific Area Decluttering Service * Office and Commercial Decluttering Services * I simplify any home or working space. I am a fully certified Clutter Clearing Practitioner and graduate of the Karen Kingston School of Clutter Clearing run by the author of the international best-seller, Clear Your Clutter with Feng Shui. I am passionate about the transformative effect of decluttering and the potential it offers for personal development wherever you are in life. I am methodical, understanding and caring in my approach and have experience of working with hoarders. I am a member of the Association of Professional Declutterers and Organisers UK - APDO, based in the South of England and available for consultations across the UK by arrangement. I also work for the learning disability charity, Mencap. I have previously worked as a lawyer in the UK and the South Pacific and as a human rights advocate in Indonesia. Always enjoying order in my home and work place, I realised that I could share my skills and knowledge and help others to overcome their organising challenges. I’ve decided to follow my passion for organisation and Clutterless was born. Originally from Russia, I received honour degree in Management of Socio-Cultural Projects in Moscow State University of Culture and Art and then worked in corporate events management in Russia and UK. My working experience helped me to strengthen organisational and time-management skills and allowed me to offer truly professional service tailored to your individual requirements. In 2010, Sammy Ryan established Strictly Organised to give clarity and a sense of purpose to others by coming into their lives as their “organisational genie”. “I have always had a passion for working with people, and believe keeping things simple and uncomplicated can help people to feel in control and able to get things done and get on with their lives” Decluttering and organisation is often a complex and emotional activity and often requires a degree of sensitivity. Sammy’s clients appreciate her empathetic personal approach, her discretion and they trust her. Additionally, Sammy has an ability to cut through the ever changing, complicated world of Technology and help her clients choose the right equipment, learn how to use it effectively and keep their information safe and secure. Provide a range of quality bike parking for the home and work place. Tapioca Tidy can help. We’re here to make life easier for you. Our aim is to swiftly and effectively resolve organisational matters that have either become overwhelming, or you simply don’t have the time to take care of. Imagine what it would be like to be able to find things easily and have an organised, clutter-free home. Even when nothing untoward is occurring in your life, the organisation of your home can get out of control. But when we hit those bumps in the road and suffer a bereavement, go through a divorce, change job, have a baby, or move house, life can become even more of a challenge and that is where the services of Tapioca Tidy really come to the fore. Together we can decide what areas of your personal life needs attention, which will create a sense of relief in knowing that everything is where it should be and is under control. A professional decluttering and organising business based in Winchester. 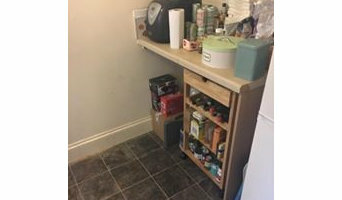 I specialise in helping home owners and small businesses to gain control over their clutter, reclaim their spaces, organise storage and put simple systems in place to keep these areas tidy. I work with a wide range of clients such as those who have busy hectic lives and simply don't have the time to have a good sort out, people needing to declutter before moving house or preparing for building works, those who are dealing with a bereavement and need some help to let go of a loved ones possessions, clients with paperwork mountains and even small businesses that need a basic stock room system. 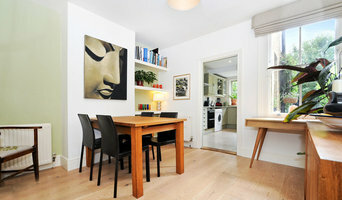 I offer a confidential, pragmatic and sympathetic approach to decluttering and organising. There are many DIY space saving storage solutions available on Houzz, but if your home is in need of more storage options than just a few shelves or drawer organisers, then you should consider hiring Itchen Abbas, Hampshire professional organisers or home storage designers. If you really struggle learning how to declutter, organise and get rid of the unnecessary, then a professional organiser or storage designer could really revolutionise your life as well as your home. What do Itchen Abbas, Hampshire professional organisers and storage designers do? A Itchen Abbas, Hampshire professional organiser can declutter your home and help you organise your possessions and furniture in a way that fits with your design vision. A home storage designer, on the other hand, can be hired to design custom wardrobes, shelves or other storage solutions to give you the exact storage space you need in your home. 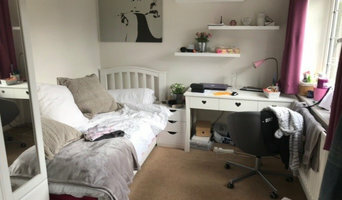 Some Itchen Abbas, Hampshire professional organisers will be able to coach you in how to declutter your life, as well as your home, so that you will learn how not to clutter or hoard anything in future. This is a great idea if your home is in need of a complete overhaul and you think that you have a problem with clutter and letting go of old possessions. Or, perhaps you have one particular room that has become overcrowded with clutter, such as the spare room, office or utility room, and needs some serious decluttering attention from a professional. Moving house is always a stressful time and can be made worse by having to deal with all the clutter, jumble and bits and bobs, so it could be worth hiring a professional organiser in Itchen Abbas, Hampshire to help you with your move and make sure your new home looks neat and tidy in no time. You can search for Itchen Abbas, Hampshire professional organisers with Houzz, see their previous projects and read reviews online before you contact them about your project. If you’re thinking of hiring an Itchen Abbas, Hampshire storage designer or professional organiser when moving into a new home, you may want them to discuss your design ideas with any other professionals working on your house project to make sure your storage solutions work with the rest of your design. Here are some related professionals and vendors to complement the work of home storage designers & professional organisers: Interior Designers, Furniture & Home Accessories, Design & Build. Find a professional Itchen Abbas, Hampshire professional organiser or storage designer on Houzz. Narrow your search in the Professionals section on Houzz to Itchen Abbas, Hampshire storage designers and organisers or look through storage and wardrobe photos and contact the professionals that worked on them.